Exhibits are offered free to the public thanks to the support of the Virginia Commission for the Arts, the National Endowment for the Arts, our community sponsors and people like you. Ramey Campbell is a traditional landscape painter, working in both oil and pastel. 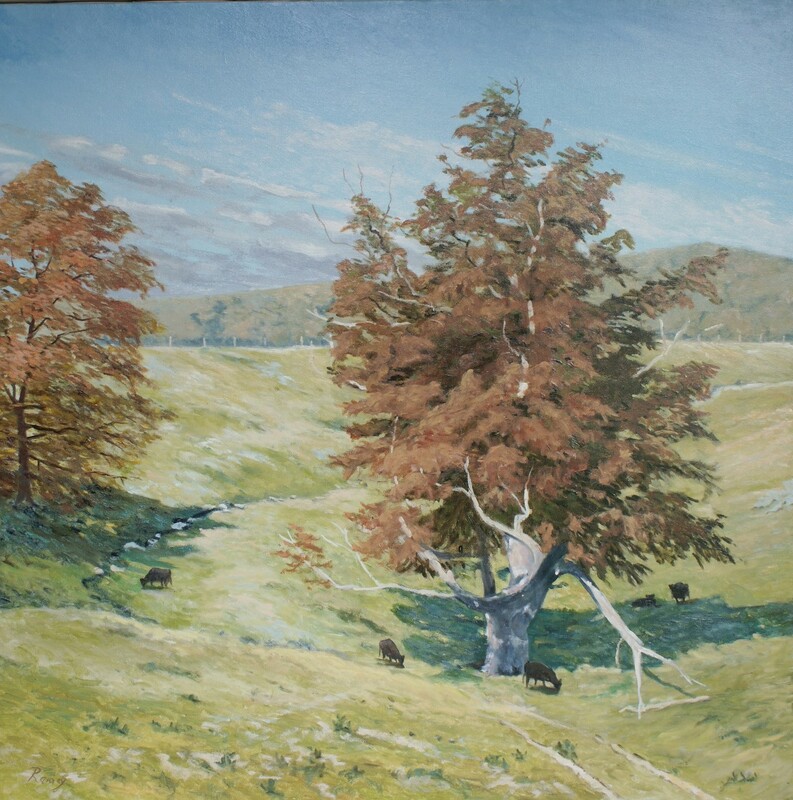 He lives in a very rural and beautiful area of Central Virginia, and paints the countryside, seeking out quiet places. From an early love of fine art cultivated as a youngster making frequent trips to the National Gallery and the Museum of American Art, Ramey was deeply influenced by the French and American Impressionists. His traditional approach to painting combines plein air methods with direct observation of natural light and later studio completion of the work. A native Virginian, Ramey attended Orange County High School, and later returned to the area after completing his training in pharmacy at the University of Virginia and the Medical College of Virginia. He is a practicing pharmacist and supervisor at the University of Virginia Medical Center. After completing his pharmaceutical studies, he resumed his passion for painting. He has received his artistic instructions through private studies with Bill Sullivan and by attending Piedmont Community College, and he continues with instruction with Ron Boehmer at the Beverley Street Studio School in Stanton, Virginia. If you’ve visited the Orange Senior Center, you may have met Rose Mary Walls. That’s where Arts Center volunteer Judy Peterson met her. Rose Mary shared a tiny album containing photos of her paintings, as well as stories to accompany the paintings, and Judy was charmed. 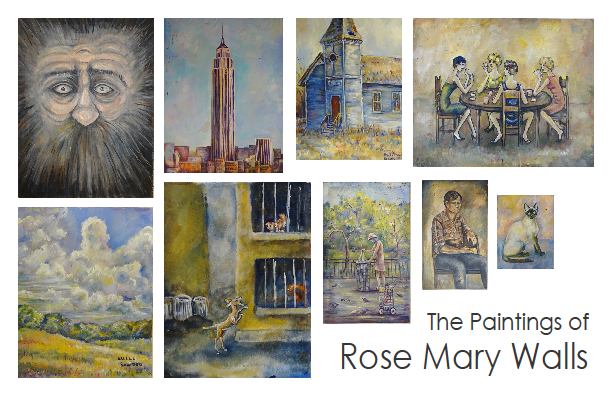 If you’ve read The Glass Castle or Half Broke Horses by New York Times best-selling author Jeanette Walls, or seen the 2017 film The Glass Castle starring Woody Harrelson and Naomi Watts, you will also be familiar with Rose Mary Walls, and you may have glimpsed some of her paintings. Born in 1934, Rose Mary Smith grew up on the 100,000 acre cattle ranch managed by her father outside Ash Fork, in Arizona’s plateau country. Attending boarding school in Prescott, she dreamed of becoming an artist. At her mother’s insistence, she pursued a teaching degree instead, but never gave up her dream. At 21, she met and married charismatic dreamer Rex Walls, They, and their four children, lived a nomadic desert life until finances forced them to back to Rex’s family home in Welch, West Virginia. Rex and Rose Mary eventually followed daughter Jeanette to New York City, squatting in abandoned properties until Rex died in 1994. Rose Mary now lives in a lovely white shingled cottage on daughter Jeanette’s Orange County farm, attends the Orange Senior Center on Mondays, and still paints! * The Arts Center will be closed for the holiday, July 2-7. 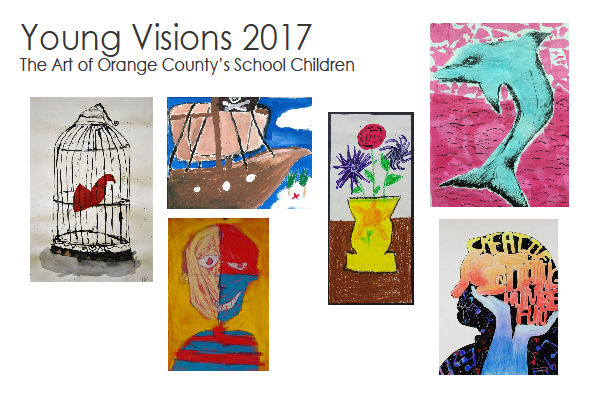 YOUNG VISIONS 2018: The Art of Orange County’s School ChildrenExhibit dates: May 10–31, 2018Opening reception: 5–7pm on Thursday, May 10*The Arts Center In Orange will feature the work of students from Orange County’s public schools, Grymes Memorial School, and Head Start in the Arts Center’s Morin Gallery and classroom. All artists, along with their families and friends, are encouraged to attend this wonderful celebration! *See more work by Orange County High School students at the concurrent “Area High Schools Student Art Show” in the Walker Fine Arts Center at Woodberry Forest School.Cover artists (left to right): Faith Gibson, OCHS; Skylar Ruggeri, LGMS; Alli Jessup, LGES; Jada Rogers, GBES. A group of seven isolated artists in King George County, Virginia, began working together during the late 1960s. By 2000, there were 12 at their retrospective showing in Fredericksburg, Virginia, at the Eyeclops Gallery. 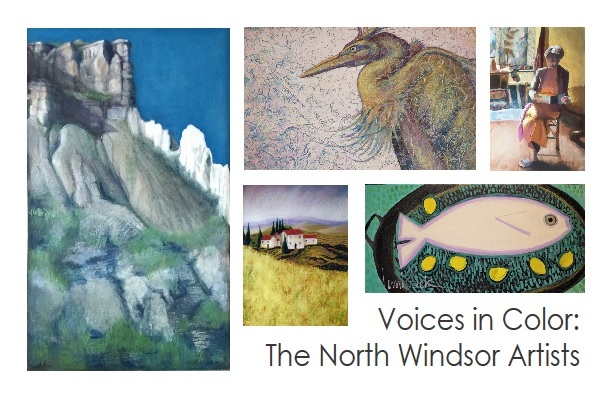 From their early meetings at North Windsor, home of Jack Darling, they have been involved in many art activities, studies, exhibits and travel. 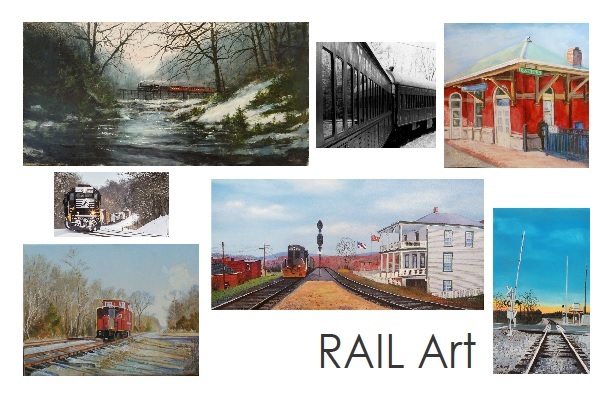 Major exhibits of their work have included St. Paul’s Church in Richmond, Gary Melcher’s Belmont Studio in Stafford Country, Virginia, and Mary Washington College and Fredericksburg Area Museum and Cultural Center in Fredericksburg. In 1992, the NWA were responsible for opening the first cooperative gallery, which is still a popular art gallery in Fredericksburg. Major feature articles have appeared in The American Arts Magazine, 1988, the Free Lance Star, 1994, and The Richmond Times Dispatch, 1995. Travels and exhibits in the US, Europe, and the Caribbean were part of their experience in advancing their artistic creativity. A Certificate of Recognition by the Governor of Virginia Commonwealth for the King George County Mentorship Program was awarded to them in 1988. Now, in 2018, the NWA are still working and exhibiting. Some early members are gone, and new ones have been invited to be part of the North Windsor Artists, but the goal of stepping up the art ladder of understanding and creating remains the same. 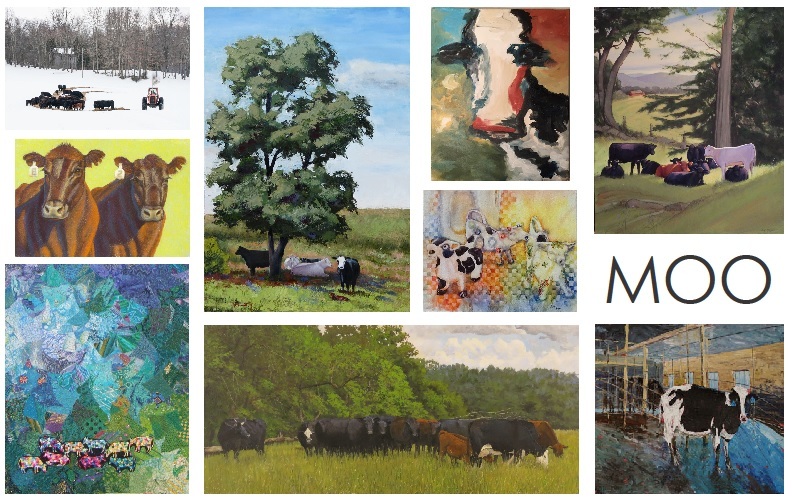 The exhibit includes work by: Carrol Morgan, Anita Holle, Helen Butler, Maggie Bice, Paula Raudenbush, Joan Critz Limbrick, Jane Woodworth, Robyn Ryan, Dee McClesky, Elsie Hagenlocker, and Sharon Ross. 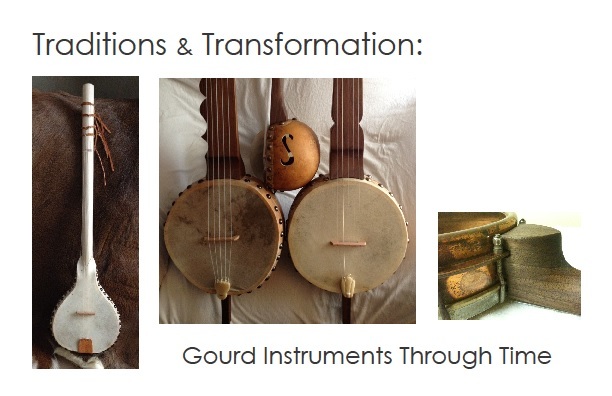 An intimate exploration of gourd instruments from cultures around the world, and their influence on the sculpting work of Dena Jennings, a luthier and builder of gourd instruments. Performance by Dena Jennings, Greg Adams, and friends: Sunday, February 11, 3–5pm. The gourd grows in a field from a five-pointed flower into a green solid inedible fruit. Foraging animals have no use for it. Yet people around the world have found ways to use hollowed gourds. They become dippers, bowls, cups, baskets, and sonorous instruments that sing the songs of life—as drums in Hawaii, marimbas in Mali, bowed lutes in the Middle East, and harps in Ethiopia. The akonting of West Africa gave rise to the banjo in the Caribbean and North America. Gourds shout and we dance. Gourds speak and we howl. When gourds tell a story, we listen and pass the message along in song. Ellen Martin and Martha Olson first crossed paths at the Rockbridge Arts Guild, Art on the Green, in Lexington, VA, in 2009. Ellen, a Lexington photographer, was busy with the operation and organization of the event, yet still managed to photograph the day’s activities for the local press, including Martha who was an honored winner. Martha, a Blacksburg, VA, artist, was a first-time exhibitor in Lexington and felt a little out of her element. Unbeknownst to Martha, it was Ellen’s husband, Larry, who made several stops by her booth admiring her work. This seemed curious to Martha and her husband, Thomas. Eventually Larry and Ellen (mystery solved) came to Martha’s booth together and purchased one of Martha’s art pieces. Who would have guessed that this one brief encounter would lead to their paths crossing for exhibitions many times during the next eight years?Ellen Martin has operated a photo studio in Lexington, VA, for 20 years. Her first love remains the production of fine art black-and-white photographs using traditional or alternative processes. “The images I print have special meaning for me.” Ellen will exhibit platinum-palladium photos where chemistry has been hand-applied with a brush, making each print unique. More about Ellen Martin at: http://www.ellenmartinphotography.com. 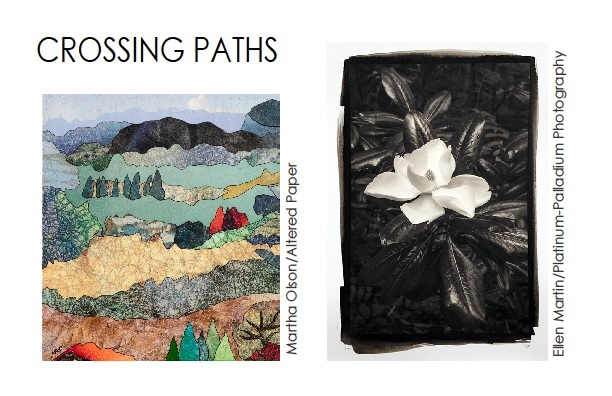 Martha Olson’s work begins with recycling glossy magazine pages that she alters by crumpling, tearing, cutting, and applying a releasing agent to dissolve the ink. 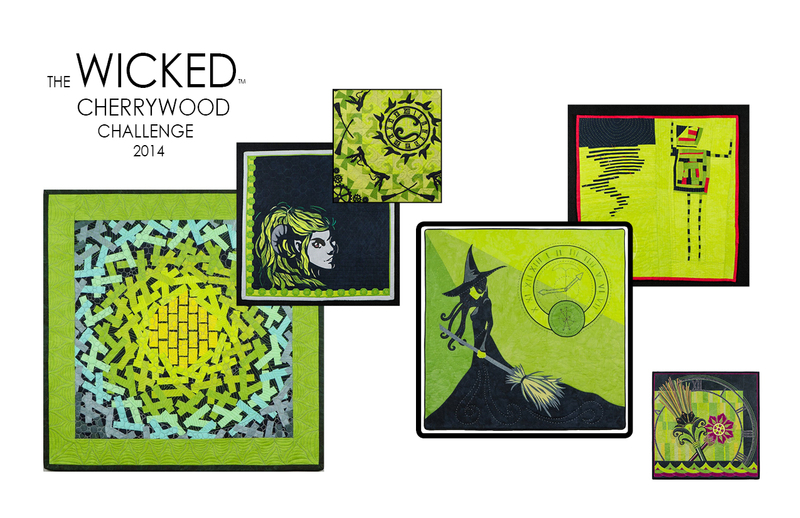 Each page produces a one-of-a-kind image and color palette. By combining and layering the images, colors, and movement, her creations invite the viewer to take a closer look where they will discover and experience hidden images and find personal interpretations. More about Martha Olson at: http://www.marthaolsonart.blogspot.comMartha Olson will be offering a Mirror Collage Workshop in December. Check out the class schedule to learn more. 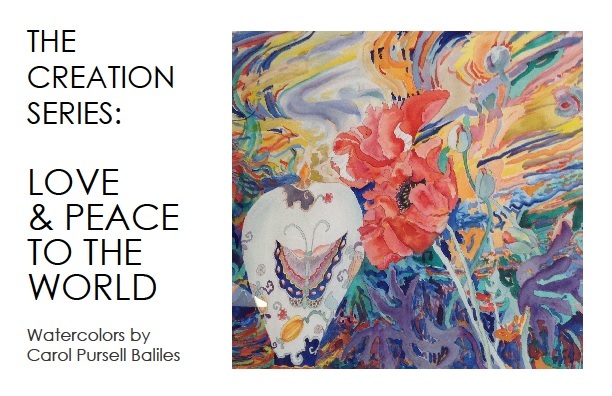 Culpeper artist Carol Baliles has traveled, studied, exhibited, and won awards around the world. Her work has been shown in more than 60 fine art exhibitions and has been selected and recognized by notables affiliated with the Corcoran, The Phillips Collection, the Hirshhorn, and the Virginia Museum of Fine Arts; ARTnews and Art in America magazines; and the National Watercolor Society, as well as being included in collections at the White House, the Virginia Governor’s Mansion, the US State Department, and many corporate and private collections. 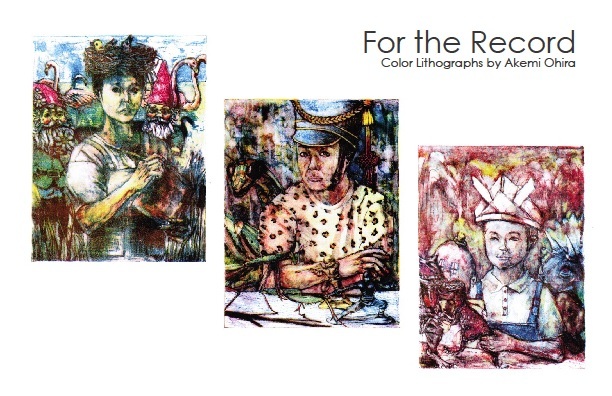 Carol is also a former studio artist and assistant art director with the renowned Torpedo Factory Art Center.In the autumn of her years, Carol would like to share her artist’s interpretation of the spiritual experiences she has gleaned from her world travels, and her wish for Love & Peace for the World. Curated by Kathy Kuhlmann & Madeleine Watkins. 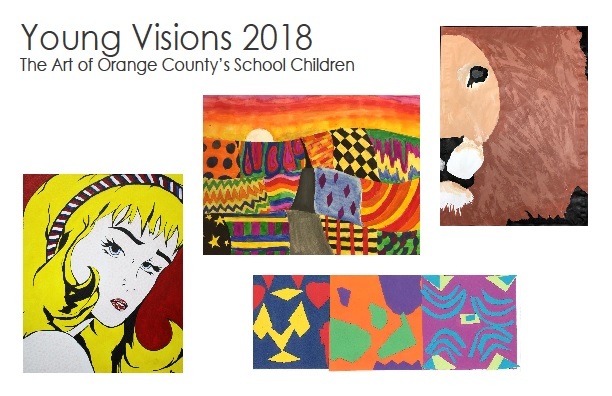 The Arts Center In Orange will feature the work of students from Orange County’s public schools, Grymes Memorial School, and Head Start in the Arts Center’s Morin Gallery and classroom. All artists, their families, and friends are encouraged to attend this wonderful celebration! Above (left to right, top to bottom): Nia Dowling, GMS, 7th grade; Zoe Hix, LGES, 5th grade; Robert Kauffman, OES, 1st grade; Jackie Adams, LGPS, 2nd grade; Olivia Knight, LGMS, 7th grade; Alex Ramos, OCHS, 12th grade. 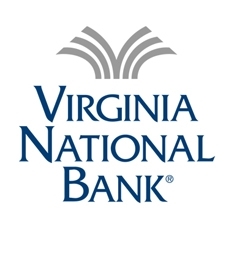 Virginia National Bank and the Light Well Restaurant will host concurrent satellite exhibits of work by artists Susan Garnett and Morgan Molenda. 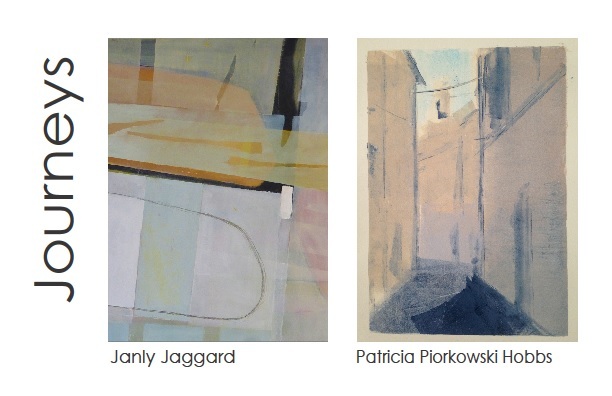 Virginia National Bank and the Light Well Restaurant will host concurrent satellite exhibits of work by artists James Erickson and Judy Quaely. 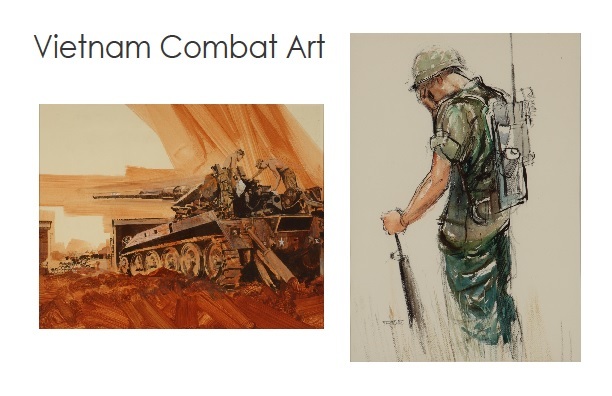 The Morin Gallery will host “Vietnam Combat Art,” a unique traveling exhibit depicting artists’ impressions of the Vietnam War, and a tribute to those who served. The 39 artworks in oil, watercolor, pastel, acrylic, pencil, ink and crayon were created by professional artists on the ground in Vietnam during the 1960s. The original pieces are housed at the US Army Center of Military History in Washington DC, and have never been on display anywhere in the United States. But special permission was given to reproduce these pieces, making them available for public viewing. The exhibit is on loan from the City of Roanoke and the Vietnam Commemorative Partners: County of Roanoke, Salem, Town of Vinton and the Stonewall Jackson Chapter/AUSA under special agreement with the US Army Center of Military History. 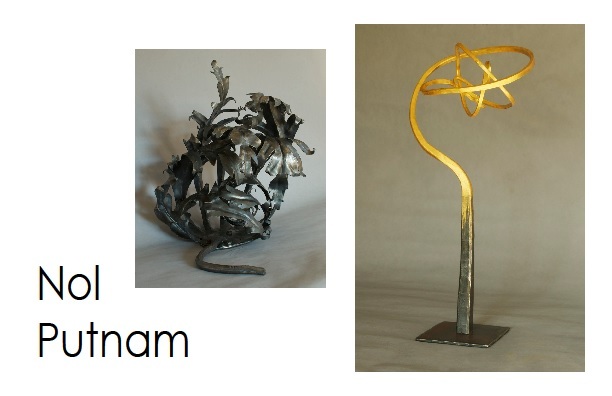 Virginia National Bank and the Light Well Restaurant will host concurrent satellite exhibits of work by artists Kathleen Craig and Judy Quaely. Pastel landscape paintings by Susan Zytka ForbushPastel artist Susan Zytka Forbush was trained in both fine art and animation. She received her BFA in painting from Carnegie-Mellon University in Pittsburgh, and also earned a three-year certificate for cartoon animation from the International Summer Program at Sheridan College, in Ontario, Canada. An animation artist for 15 years in Los Angeles, California, Susan has film credits on The Little Mermaid (several cells to be included in the exhibit), The Rescuers Down Under, FernGully and The Prince of Egypt. She also worked on television commercials and prime-time programs. After living in Southern California for 29 years, she and husband Brad Forbush, also an artist, are slowing things down. Drawn by Orange County’s history and landscape, the couple has made a new home in Gordonsville. While Brad dusts off his ancestor William Henry Forbush’s time spent in Virginia with the 13th Regiment Massachusetts Volunteers, Susan is getting to know the area from her car window by traveling roads, capturing views with her camera, and returning to her Main Street studio in Orange to paint in pastel. Locals will enjoy seeing OC from a newcomer’s perspective, recognize many of the locations, and be reminded of how lucky we are to live amid such beauty. 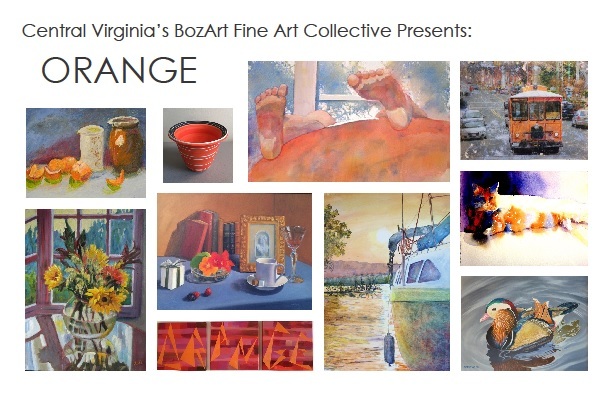 Virginia National Bank and the Light Well Restaurant will host concurrent satellite exhibits of more work in pastel by artists Maggie Bice, Kathleen Willingham and Jan Settle. An exhibit on the theme of horses and the people who love them, juried by artist Debby Thomas, and includes paintings, photos, drawings, and leather work by artits: Wilma Bradner, Sharon Lynn Campbell, Cathy Choyce, Daisy Collins, John Corrao, J Douglas, Deb Elaine, Judith Ely, Willa Frayser, Cabell Gorman, Clinton Helms, Lindsey Henry, Elaine Hurst, Carol Iglesias, Kathy Kuhlman, Sue Linthicum, Eleszabeth McNeel, Linda Nedinsky, Lee Nixon, Jeff Poole, Janie Shrader, Martha Strawther, Eddie Thiel, Julia Travers. Also included: Equestrian sculpture by artists Herbert Hazeltine and William Turner from the collection of Phil & Susie Audibert, Marion Maggiolo’s collection of 20th-century horse-themed covers from The New Yorker magazine, and the unveiling of this year’s Montpelier Hunt Race poster art by Sam Robinson, which will be on display in the gallery throughout October. 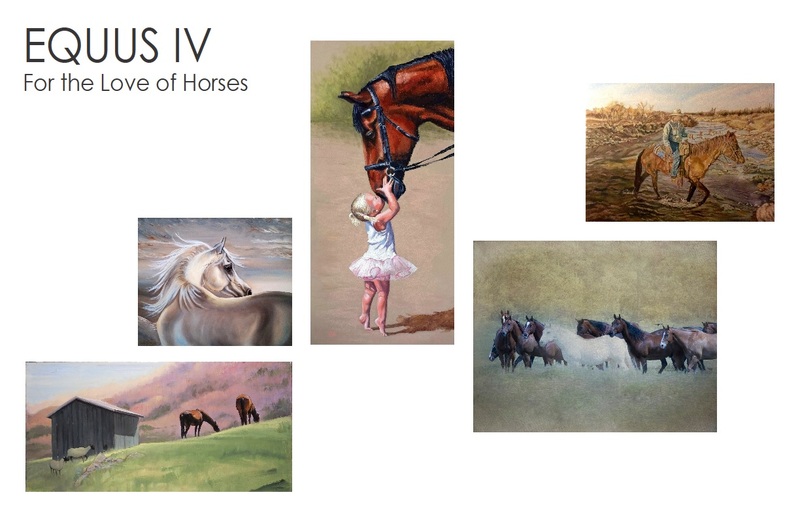 The public is also invited to visit concurrent satellite exhibits at Virginia National Bank and the Light Well Restaurant on Main Street in Orange to enjoy work by equestrian artists Debby Thomas and Martha Strawther. BOOKISH – A multimedia exhibit inspired by books, including altered books, hand-made books, artist journals, paintings, photography, fabric art, jewelry, and woodwork by Virginia artists: Todd Brown, Barbara Collins, Jenny Davis, Daisy Collins, Ginger Donelson, Deborah Elaine, Michael Fincham, Susan Garnett, Susan Krieg, Glennis Mairs, Marty Moon, Maria Pace, Jeff Poole, Rebecca Quinn, Anna Sawyer*, John Shumate, Julia Travers, and Kathleen Willingham. Cover work (left to right, top to bottom): “Bonjour Tristesse” by Deb Elaine, “Hungry Caterpillar” by Michael Fincham, “XY” by Rebecca Quinn, “Self Help Books of the Future – For the Soul” by Susan Krieg, “Tree of Life” by Anna Sawyer, “The Daily Bloom” (page detail) by Kathleen Willingham, “Books that Rocked My World” by Marty Moon, “Sleep” by Julia Travers, “Friends of the Library” by Barbara Collins, “Behind the Book Blocks” by Susan Garnett. 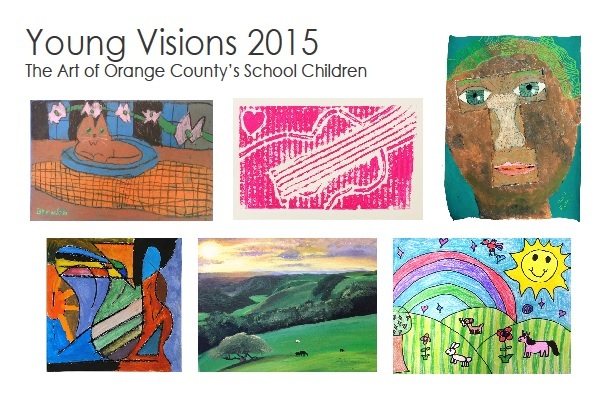 The Arts Center In Orange will feature a selection of work by students from Orange County’s public schools, Grymes Memorial School, and Head Start in the Arts Center’s Morin Gallery and classroom. 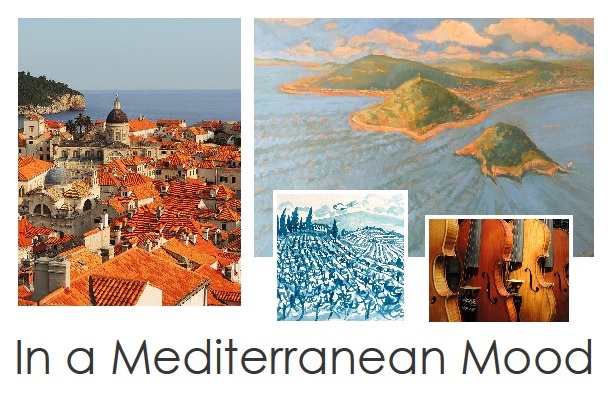 All artists, their families, and friends are encouraged to attend this wonderful celebration! Cover work (left to right, top to bottom): Aaron Ratcliff, LGMS, grade 7; Tamara Sherman, OCHS, grade 11; Anycia Fortune, OES, grade 4; Avery Morris, LGES, grade 5; Rasheed Oudeh, LGPS, grade 2; David Johnson, GMS, grade 4. In the Morin Gallery at The Arts Center In Orange, and Main Street Orange satellite exhibits at The Light Well Restaurant, 110 E Main; Virginia National Bank, 102 E Main; and special MOO exhibits of work by artist Ben Waddem at Objects On Main, 107 E Main and work by Nancy Bass at the Frederick Nichols Gallery Annex, 5420 Governor Barbour Street in Barboursville. Akemi Ohira is an Associate Professor of Studio Art at the University of Virginia. She received her B.F.A. from Cornell University, and her M.F.A. from Carnegie Mellon University. She joined the faculty of the McIntire Department of Art in the fall of 1993, and has since regularly taught introductory, intermediate and advanced printmaking, as well as directed projects for the Distinguished Majors Program. Her work has been featured in solo and group exhibitions throughout the U.S., as well as in Japan. Originally named the Rapid Ann River (a combination of the word “rapids” and a homage to Queen Anne of England), the Rapidan River flows 88 miles, from its headwaters at Rapidan Camp, Herbert Hoover’s presidential retreat in Shenandoah National Park to converge with the Rappahannock just west of Fredericksburg. During the Civil War, with Union and Confederate troops camped on either side, the river’s banks were the scene of severe fighting, and for many enslaved African Americans, the path to freedom. Today, the Rapidan ranks 38th in Trout Unlimited’s Guide to America’s 100 Best Trout Streams. Sponsored by the Rapidan Foundation and juried by Clive Pates & Virginia Rood Pates, Take me to the RAPIDAN! 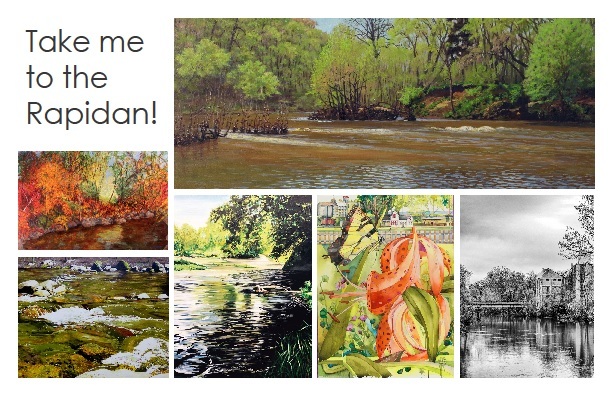 is a multimedia exhibit celebrating the Rapidan River and includes work by: Ashe Laughlin, B. Berne Smith, Barbara M. Collins, Claudia Wisdom Good, Linda Goodling, Kathleen Willingham, Krissy Lavin, Larry Patterson, Laura Rosenthal, Lee J. Nixon, Jr., Lou Messa, Nancy Mottley, Pam Derrickson, Pat Temples, Phil & Susie Audibert, Ramey Campbell, Richard Young, Stephanie Mendlow, Susan Garnett, Tom Tartaglino, Trish Crowe, Virginia Pates. Cover Artists: (top to bottom, left to right) Tom Tartaglino, Stephanie Mendlow, Richard Young, Susan Garnett, Trish Crowe and Pat Temples. 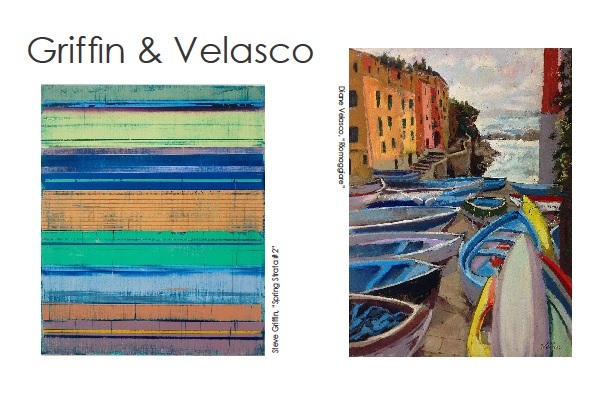 A new show of acrylic and pastel paintings celebrating the art of two women who happen to be long-time friends. Maggie Bice and Anna Marie DeMio Dowen first met twenty-four years ago, and have forged over time a full appreciation, support and exploration of the complexities of artistic development, along with their own personal artistic endeavors. 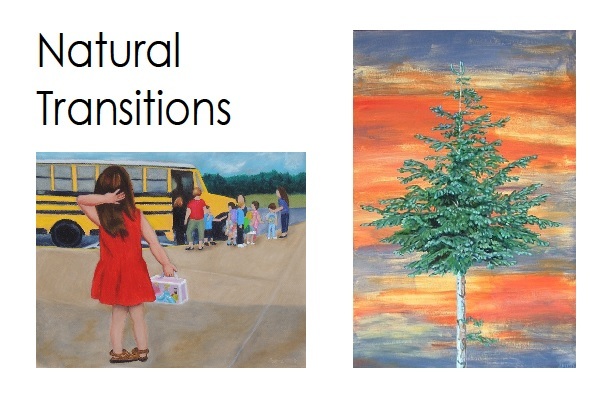 Many works of art have been created over the years, with recent pieces in this upcoming exhibit representing the natural flow of time, and the commitment to art that has run through, and enriched, each of their lives. The pieces to be exhibited are landscapes, nature studies and figurative work interpreting the passage of time in captured moments.